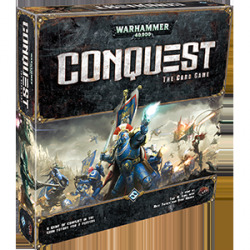 Warhammer 40,000: Conquest There are 2 products. Warhammer 40,000: Conquest is a two-player Living Card Game® of interplanetary warfare in the gritty futuristic setting of Warhammer 40,000. 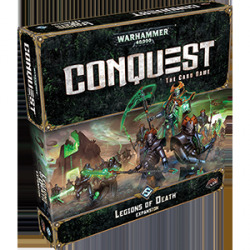 Legions of Death is the second deluxe expansion for Warhammer 40,000: Conquest!